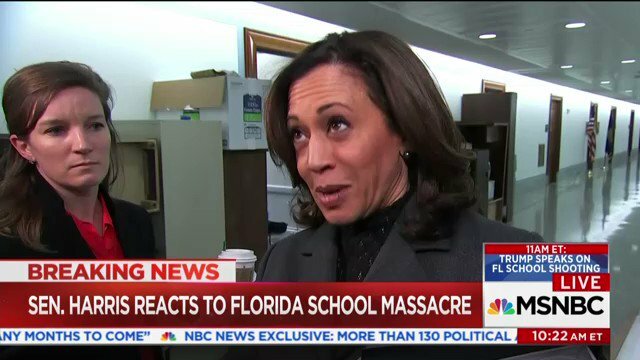 Kamala Harris's tweet - "This cannot be a political issue. We have to have smart gun safety laws - our babies are being slaughtered. " This cannot be a political issue. We have to have smart gun safety laws - our babies are being slaughtered.